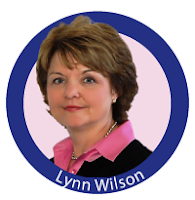 The CareGiver Partnership’s Founder, Lynn Wilson was selected in 2009 as Community Ambassador by Kimberly-Clark’s Depend brand. In this new role, she welcomes consumers to the Lifestyle and Community forum within the Depend website. “As a caregiver and Founder of The CareGiver Partnership, I talk with caregivers and their loved ones on a daily basis”, said Lynn Wilson. “I also participate in numerous forums where caregivers and their loved ones congregate. It’s important for caregivers and others to know that they are not alone.” Today they can share their thoughts and ask questions in a safe and welcoming place in the new DEPEND® Online Community. As one of six Depend Ambassadors, I’m here to help welcome caregivers and their loved ones and to help them along as they become a part Depend’s online community. Each person has unique insights and experiences to share with the community. I invite everyone to come join in the conversation! Also as an Ambassador, I’m here to help guide caregivers and their loved ones through all that the Depend community has to offer, from getting connected with other members to sharing ideas through comments on articles or discussion boards. The DEPEND Online Community is a safe, welcoming place where people from all walks of life can come together and explore the world around them. Whether near or far, alone or in a group, I hope you’ll discover fun new ways to get out and enjoy the many things your world has to offer. 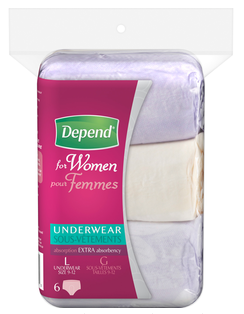 Other members of the DEPEND Online Community can learn from your experiences. Others may have had experiences you can learn from. All will benefit from getting to know you. Creating a community profile makes it easier to make those connections happen. There are a number of discussion boards including Lifestyle, For Women, For Men, For Caregivers, and Feedback. About The CareGiver Partnership. The CareGiver Partnership helps caregivers and their loved ones with answers to their caregiving questions, including information about home health care products and supplies, from our Wisconsin-based team of Product Specialists who are all current or former caregivers. The company’s Web site provides the largest online library of resources on subjects most important to caregivers — from arthritis to assisted living, and Parkinson’s to prostate cancer — as well as access to more than 3,000 home care products for incontinence, skin care, mobility, home safety and daily living aids. The CareGiver Partnership was founded in 2004 by Lynn Wilson of Neenah, Wisc. Visit http://www.caregiverpartnership.com/ to learn more or call 1-800-985-1353.